Looking for information about cars the company might have had. Which were used in promotions or as company cars. I never hear of Sunoco having a specific AMC promotional car for 71, let alone a Javelin. Unless you are thinking of the factory race cars that had Sonoco sponsorship. Basically Sonoco sponsored various AMC cars through the years in AMC racing history from the late 60s onward. The most notable of the 71 Javelins was Sunoco's carry over from Penske / Donohue team effort started in 68/69 with the Camaro. For the most part Sunoco followed Penske on all his cars, which Donohue happend to be his main driver. The 71 Javelin was setup mostly the same as the 70 Javelin that Penske ended with in the 70 racing season. Just different body style for the new year. Sunoco never commissioned a Javelin for direct marketing campaigns, their marketing was just to have the public see their name on a winning team in auto racing. The car shown in ads was directed for AMC'S sales campaign, and their proud winning season, to show the Javelin was as good and if not better than the Mustangs, Camaros, and Challengers out on the lots. If you want some of AMC'S history with Penske, the book Unfair Advantage explains in detail and a lot more than most of the chapters in the book. I would say Donohue had fond memories and a lot of time invested with the Javelin from 70 to 71 than any of the cars he raced with once he started as Penske's driver. 304 dude thanks but I am referring to company cars not racers . 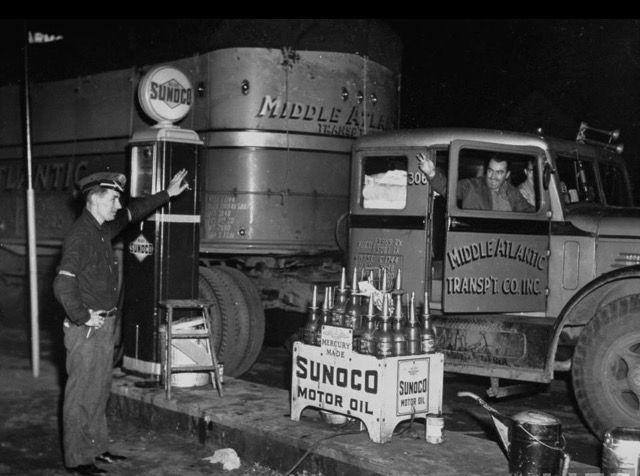 In fact I think I am looking for information on cars Sunoco might have used in their "Beautification Patrol". This would have been for inspections of their gas stations. Any particular color of these cars? I have seen a photo of a blue car. Not sure which blue. This was mentioned in The Unfair Advantage. No real info on the cars though.